The folks who today obsess over BFD and behind-armor trauma should read that last part again. The Navy subsequently utilized Doron in two forms: By sewing Doron panels into pockets on the outside of the Kapok lifejacket, and by sewing Doron panels into the standard-issue Marine Corps utility jacket. Roughly a thousand such jackets were prepared for use in the Battle of Okinawa, but, unfortunately for the development of body armor if not for the men involved, the Marine division outfitted with the armored jackets was not involved in the fighting. More than anything prior, this glowing evaluation of Doron and nylon armor in Korea cemented body armor’s place in the modern soldier’s kit. Given the Navy’s interest in Doron vests during WWII, it should come as no surprise that the Marine Corps were early adopters of body armor – and, throughout the course of the Korean war, all Marine Corps frontline personnel were armored in Doron-Nylon flak vests. The Army, at the same time, was still evaluating Doron and nylon vests on a very limited trial basis. As positive feedback from these trials started to come in, and as positive reports from the Marines reached Army HQ, the Army decided that they needed to hurry up and issue body armor to all of their frontline personnel as well, so they requested 13,020 Marine vests on August 11, 1952. By the end of the war, the Army had procured well over 25,000 Marine Corps vests. It should go without saying, therefore, that the Marine vest, the M-1951, was the Korean War’s predominant form of body armor. It weighed 7.75 pounds and was a sleeveless vest with a zipper closure in front. It was made of 1050 denier ballistic nylon fabric and hard Doron fiberglass plates. The shoulder girdle area was protected by 12 layers of ballistic nylon, which was flexible and reportedly comfortable to wear; the chest, abdomen, and back were covered in sixteen curved, 3.175mm thick, overlapping Doron plates. The Army, following further evaluations, ultimately decided to adopt a different design. The Army personnel assigned to the development of armor projects believed that ballistic nylon was just as effective as Doron, but easier to wear on account of its flexibility and ability to drape. Thus the all-nylon M-1952 was issued to troops over the last months of the war, starting in February 1953. Like the M-1951, it was a sleeveless vest with a zipper in front. It had two front and back panels composed of ballistic nylon bonded with laminating resin, but this was still reasonably flexible, and the vest was reportedly comfortable to wear. It weighed 8.25 pounds, so was slightly heavier than the M-1951, but its flexibility made up the difference. The M-1951 and M-1952 remained essentially unchanged into, and over the entire course of, the Vietnam war. There were minor, mostly cosmetic, upgrades — but the weights and materials did not differ to any meaningful extent. The vest of the Marine Corps in Vietnam was designated the M-1955, which was, like the M-1951 it replaced, made of ballistic nylon with Doron plates. The Army vest, the M-1969, was of all-nylon construction. It was identical to the M-1952, save for the addition of a high collar, which added roughly half a pound to the vest’s weight, and which soldiers generally disliked, as it interfered with the wearing of the M-1 helmet. Unusual-looking chemical solutions of that sort were not often pursued; they were usually considered failed or abortive experiments. Kwolek went on to mention that “I think someone who wasn’t thinking very much or just wasn’t aware or took less interest in it, would have thrown it out.” But she persisted, so the solution was spun on a spinneret, and the mechanical properties of the resulting fibers were tested. It quickly became apparent that this new “aramid” fiber was three times as strong as nylon and possessed a far higher modulus and heat resistance. And, despite its high modulus, even these first fibers were so fine that woven fabrics derived from them were flexible, and were able to drape like nylon. The military quickly realized the potential of this new material, though they didn’t rush to implement it in armor systems and issue it to troops in Vietnam. Military-grade aramid fabrics were first designated as PRD-29, and PRD-49 — and later as Kevlar® 29, which was previously PRD 49-IV, and Kevlar® 49, which was PRD 49-III. Kevlar 29 was judged the superior grade for ballistic protection, and prototype flak vests were made which offered significantly greater protective ability than those made of nylon and Doron, at the same weight. In June 1978, vests comprised of 13 layers of Kevlar 29 ballistic fabric within an envelope of water-resistant ballistic nylon were issued as the “Body Armor Fragmentation Protective Vest, Ground Troops” for United States soldiers. In the early 80s, this type of vest was standardized as part of the PASGT armor system, which also included a helmet made of resin-bonded laminate Kevlar 29. The PASGT system was quite long-lived — it remained in use by the US military until the mid-2000s, and still remains extremely common worldwide, as it was extensively exported. The PASGT’s successor, the Interceptor Body Armor system, was also made of aramid — in this case, the improved KM2 fiber. The most recently fielded body armor system, the Improved Outer Tactical Vests, which are a partial replacement for the Interceptor, still incorporate aramid fibers in their soft armor component. Yet this is not to say that aramid is the only option, nor should it even imply that aramid is the best option. Scientists at DSM in the Netherlands discovered ultra-high molecular weight polyethylene (UHMWPE) fibers by accident in 1963, during experiments in fractionating out different polyethylene lengths from a solution. It was immediately noted that these very long-chained polyethylene molecules were incredibly strong, but, initially, only small amounts were produced, and it seemed impossible to produce meaningful quantities. 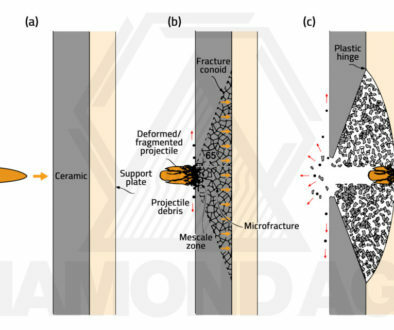 This is on account of the fact that the UHMWPE fibers were nearly impossible to orient in solution, so they’d typically form intractable aggregates and clumps, and only a small fraction of each production batch would result in usable UHMWPE fibers. Although the development of this clever gel-spinning process enabled the industrial production of UHMWPE fibers, DSM was not an industrial fiber company. It was — and to a large extent remains — a food and agricultural supply company that discovered UHMWPE fiber by accident. The UHMWPE team at DSM was essentially a “skunkworks” crew that did their experiments in spare time and on weekends, with little corporate oversight. In the years since its discovery and the development of a commercial production process, the decision-makers at DSM showed no interest in commercializing UHMWPE fiber, and this was not helped by the fact that the consulting companies they asked to evaluate their potential product did not think very highly of it. Around that time, in the very early 80s, Allied Signal (now Honeywell) obtained a patent on a very similar UHMWPE fiber product, though they claimed that the melting point of their material was 20-30 degrees higher than that of DSM’s fiber. As it turned out, the two UHMWPE fibers were largely identical, the melting point differences were due to an methodological error on Allied Signal’s part, and, as the DSM patent had priority, Allied was compelled to purchase a license for the original DSM patent. With the license in hand, and no potential intellectual property conflicts on the horizon, Allied started marketing their own fiber, Spectra, as a competitor to Dupont’s Kevlar. Dupont countered with effective marketing campaigns which showed how Spectra would weaken at moderately high temperatures — from 60-80°C. The military, aided by institutional inertia, essentially said “if it ain’t broke, don’t fix it,” and stuck with aramid armors. It could be argued, in hindsight, that Allied and DSM didn’t do enough to promote their material. Yet, at the same time, the first grades of UHMWPE fiber were quite poor. We have seen continual improvement since those early days, and today’s grades of UHMWPE fiber are more than 44% superior to the best grades of Kevlar on an equal-weight basis. Dyneema and Spectra are presently used in high-end body armors, the very newest models of military helmet, and lightweight ballistic shields. Unlike aramid, moderately thick panels of UHMWPE (2cm+) are capable of stopping lead-cored rifle rounds at high velocity, but invariably fail against steel-cored rifle rounds. In fact, they can fail against steel-core pistol rounds; that the SS190 AP 5.7x28mm pistol round can punch through a UHMWPE Level III plate has been documented. In any case, there’s significant room for improvement in UHMWPE fiber materials, and it’s likely that further gains will be made within the next 10-15 years. E-glass fibres, manufactured from alumino-borosilicate, are the oldest armor fibers in modern use, as their use dates back to WWII’s Doron. This grade of fiberglass is infrequently used in modern body armor systems, but, on account of its very low cost, is often encountered as a spall mitigation liner in armored vehicles. S-glass, of magnesium-aluminosilicate, is a superior grade of fiberglass with much-improved mechanical properties: lower density, higher strength, greater stiffness, and a 20% improved strain-to-failure. 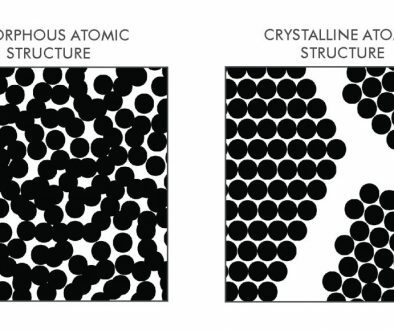 However, even the best-performing glass fibers perform only roughly half as well as aramid for ballistic applications. Aramid is, without doubt, the most ubiquitous ballistic fiber in the world at the time of this writing. It is extensively used in standalone body armor systems, spall liners and backings, ballistic helmets and shields, and virtually every other conceivable application — including “armoring” fiber optic lines for extended stays in harsh environments, and armoring satellites from micrometeorite impact. It has excellent resistance to fire and heat, but is sensitive to UV light (photooxidative degradation) and humidity (hydrolysis), so it is typically sealed or coated prior to use, and its characteristic bright yellow color is infrequently seen. Broadly speaking, this class of polymer composite offers the best performance-to-weight ratio. More specifically, there are a number of grades available, ranging from low-cost grades with a weight efficacy roughly equal to aramid, to very highly-optimized grades, such as Dyneema SB-117 and Spectra Shield 5143, that are much more effective than aramid on a per-weight basis. UHMWPE is stable in the presence of UV light, but has a low melting-point that leads to performance degradation at high temperatures. This becomes a serious consideration at temperatures over 70°C. Note: The antiballistic properties of Dyneema HB212 are significantly better than Spectra 1000, but its mechanical properties have not been made public in a comprehensive way. 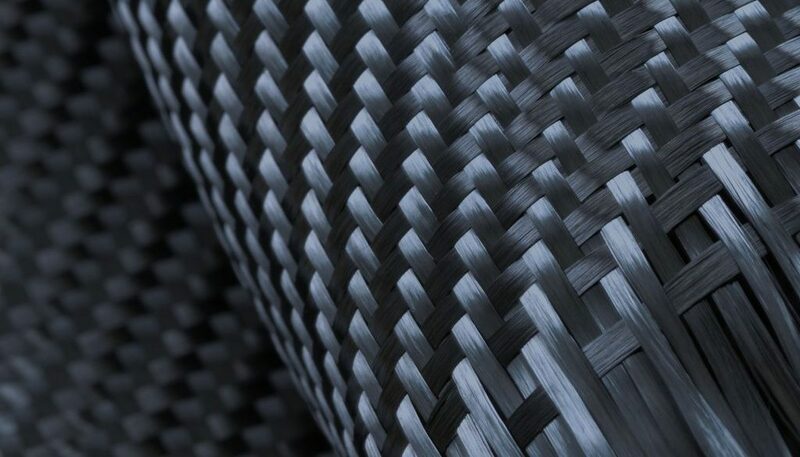 Carbon fiber is a structural composite that’s rarely used as a ballistic material on account of its brittleness, relatively high density, and lack of ductility. It boasts an extremely high yield strength and flexural modulus, however, and its strength and stiffness make it attractive for certain niche applications in armor. It is also highly resistant to UV light, chemical exposure, and temperature extremes. 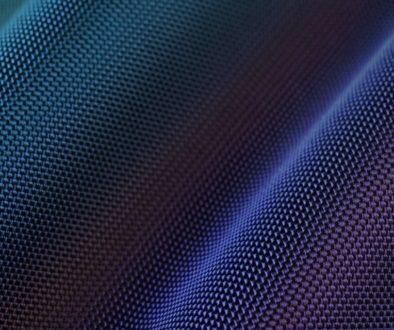 The very best grades of carbon fiber — Toray’s T1100G (ultra-high strength) and M60J (ultra-high stiffness) — represent the current state of the art, and are uncommon, whereas the grades T300 and T800 represent the fibers most frequently used in aerospace and automotive applications. T300, in particular, dominates the carbon fiber industry — 95% of sales are of the “standard modulus” T300 grade.